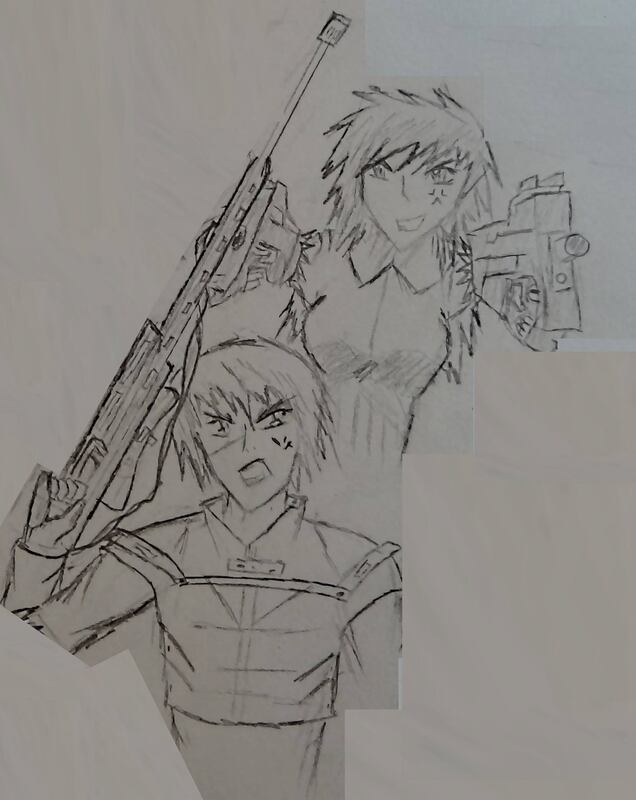 Lashia is the major antagonist in the story Fraylash, she is a charismatic, intelligent women who is leading a rebellion on a planet. She has some unknown past with Brish who has increased her reward for her death by a huge amount and this in turn leads the Hunter Frayno to take the query. She was originally placed in the Rank system for leading a prison break out and a rebellion on the planet the story takes place in. The industrial sector she resides at is much more slum-like than the walled inner city Brish is from. She is a very intelligent woman who has a strong streak of religiosity or spiritualism as she constantly thinks about everything as ‘destined’ for occurring. The bonus bounty that is placed on Lashia is set to expire in a few days which is a driving force for Frayno to hurry and finish the Hunt. For her, it represents a goal to make it towards with a specific task accomplished. Her Rank points were not that high compared to some extreme criminals, but the city (led by Brish) placed a huge bounty on her. The bounty on her was enough to start luring Hunters in who were simply going to kill her to collect the reward. Lashia had killed her first Hunter which placed her in the much more rarefied ‘Hunter-Slayer’ category which is a criminal who had killed a bounty hunter after them. This does not increase the Rank by much as it is simply a murder, but a major thing that happens is the bounty tends to increase exponentially. Many Hunters belong to various organizations which collectively post increased bounties if one of their own is killed as a way to seek revenge. Lashia had killed more than one Hunter which wildly increased her bounty. She remained in a narrow niche where her bounty was very high that individual Hunters would come far and wide to seek her down, but elite teams that exist to take down the most hardened and high Ranked of criminals ignored her. For the most part she represented a problem to the individual Hunter groups that could best be summed up by ‘its personal’. The reward was high, but as stated, nothing extreme that elite groups who often mow down entire groups were at all interested. Lashia played with Fraynos life, offering him a simple puzzle: why was she keeping him alive? She had demonstrated repeatedly that she was capable of ending his life, but spared him because she felt he was destined to figure out the puzzle. She could not tell him what he needed to figure out, but if he truly understood why he was here, why the bonus on her was placed, and why the time limit was nearly upon them he would figure it out. She did this as a way to have him prove his loyalty in a true way as anyone would agree just with her words to simply to save their life.